Because of the new Compare tool I have now (November 2018) also learnt that his main region is 81% “Senegal” (pre-update). I cannot see the remaining part of his breakdown though. A couple of months ago I found my very first mainland West African DNA cousin on Ancestry.com. Judging from his name and ethnicity preview he is a Mandinga from Gambia. I was exhilarated! I had never been able to find a mainland West African match before. Even when I took my first DNA test with 23andme already in 2010! In other words I had to wait seven years for it! Inspite that I haven’t had any meaningful contact yet this genetic connection is still very valuable to me. 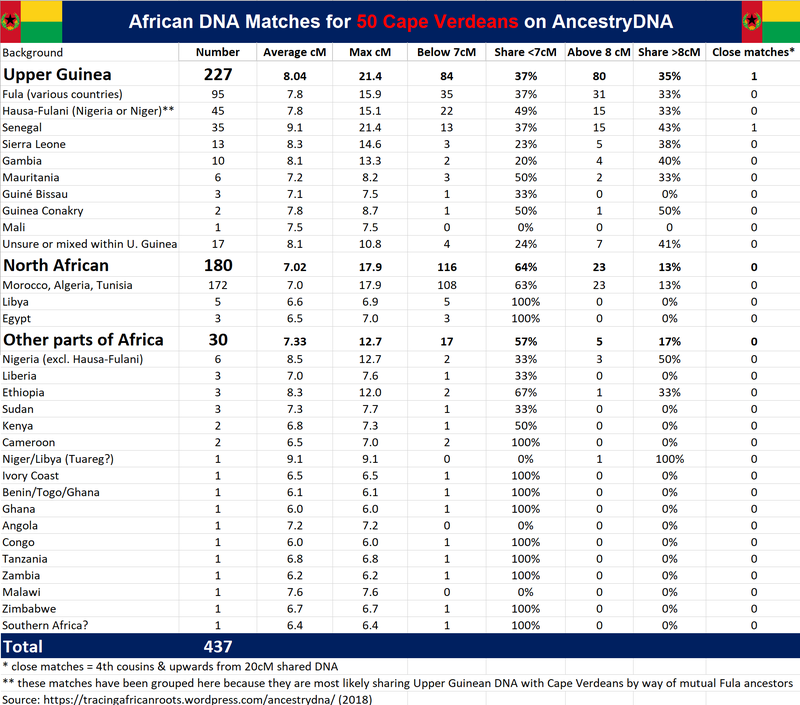 As I am of Cape Verdean descent this finding seems very appropriate and in line with my primary Upper Guinean roots (see Top 20 Ethnic Roots for Cape Verdeans). Many people seeking to trace back their African ancestors are very eager to be connected to a specific place and person within Africa. They hope to achieve this by finding a DNA match from the continent. But just like me they are having a hard time to do so. In the beginning this was mostly because only very few Africans were included in the customer databases of companies such as 23andme or Ancestry.com. Fortunately this has been changing lately because a quickly growing number of Africans or rather African migrants and their children are taking a DNA test. This increases the likelyhood of receiving African DNA matches. However many people still find it difficult and/or tedious to sort out their DNA matches. 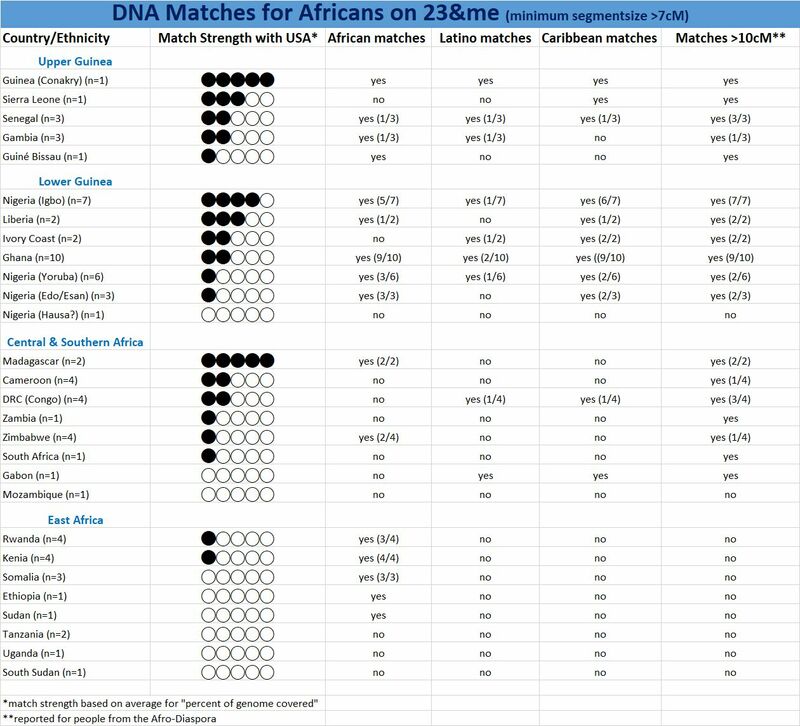 In this blog post I will therefore describe a method which enables a systematic, comprehensive and time saving detection of your “100% African” DNA matches on Ancestry.com.